Well we reached the month of November and boy has it got cold. I've been seriously thinking about hibernating!! However I've been told by a few people that fresh air is good for you so I thought I best dust of my hat and gloves and get back outside. The tough part was convincing Layla that she needed to keep her hat and mittens on too. So whilst the girls were at school and playschool my youngest daughter and I managed to enjoy some one on one time and do a little bit of exploring. 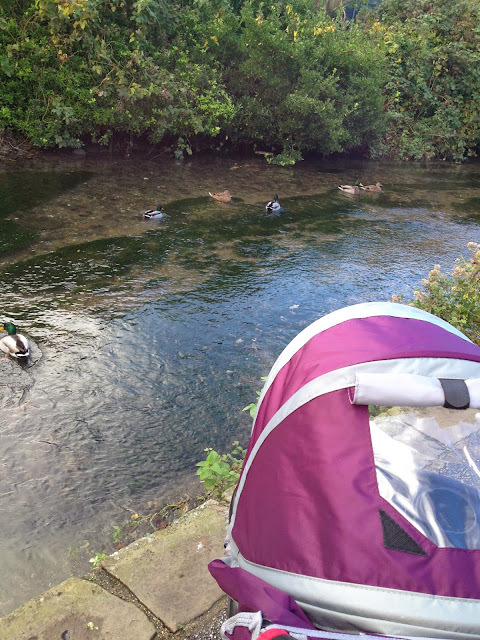 Naughty mummy didn't have any bread to feed to the ducks though so we left them an IOU instead. On the way back Layla was let loose. She was not a fan of holding my hand and of course she made a bee line for the nice big pile of crunchy leaves in front of her. The fun only had to stop when she decided the leaves my taste nice!! How did that IOU go down with the ducks?! Nice to sill get out there, but definitely needing to wrap up a bit more now, aren't we?! It's amazing how the children don't seem to feel the cold as much as we do, most of time our children don't even bother with coats - too busy running around to get cold I think. 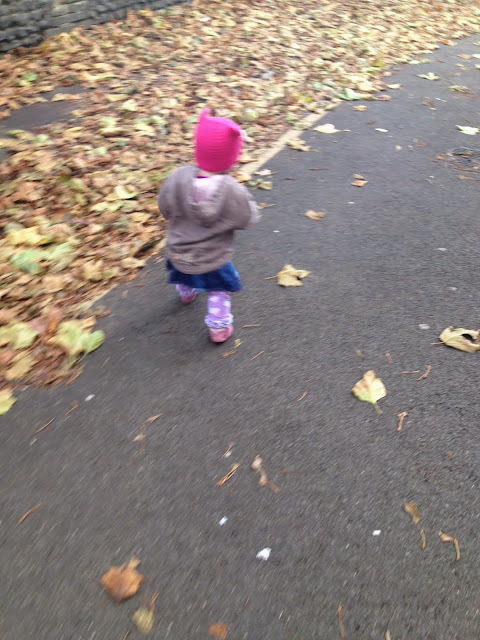 I'm sure Layla had great fun running in the leaves, thanks for linking up and sharing with Country Kids.